Occupational therapists- students, interns and people with experience as welcome! To work along side parents and guide the children, counsel parents etc. To teach and pass on their skills to parents and staff. To set programmes which will enable the child to reach its full potential. Working with SoH for four months has been a challenging, exciting and rewarding experience. I have been able to share my skills and knowledge with the team through teaching sessions, village outreach and physio clinics. But more than that I have gained so much in return. I have even learnt to sit side saddle on a boda boda (scooter)! 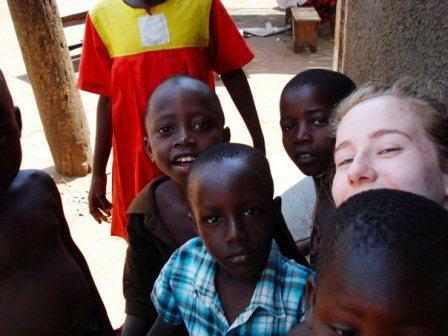 Uganda is a fantastic country to visit and I have made some lifelong friends. I would recommend anyone to go and find out for themselves. Katri, one of our physiotherapy volunteers from Finland, also has her own story to tell. Cannot leave what you are doing? We also need people to fundraise. If you are unable to come to Uganda, but want to do something, why not organize an event to fundraise? You can do anything from a pub quiz, to a sponsored event. Please let us know in advance and we can send you sponsorship forms and information to help you promote your fundraising event. If you are with us fro less than one month (i.e. 30 days) the cost is $20/ £14 a day. SoHUG is run off donations, and we require all volunteers to raise a minimum of $100/£100 for the work we do for the children. We ask people to pay us up front or ahead of time. Payments are made through www.soh.givengain.org one month before you come to help us with your preparations. You can also contact us on other ways to pay at springofhopeug@gmail.com.